Reader Gurvinder sent us this Top 10 Messi goals of 10/11 which I thought I’d post because it’s a bit of a slow day and, really, who doesn’t love to watch some Messi highlights? What do you think of this top 10? Personally I think his greatest goal was the one against Arsenal that’s not even in this video (whaaaat). Have your say below. Previous Post We’ll Never Forget You, Queca. I can’t argue with the #1 goal, but where is that gorgeous one against Real Socieded where he and Dani passed it back and forth several times while running at full speed through a passle of defenders? Unforgettable. The fact that his goal against Arsenal isn’t included just makes this video a joke…sure these are all great goals but this one should be in his top 3 goals ever not just this season…I’ve never seen such a brilliant finish..He just made a complete fool out of Almunia..The only 2 Messi goals I would rate higher than his Arsenal goal are the 2 maradon-esque goals againt EE this season and Getafe a few years ago. So I guess there is an U17 El Clasico happening right now? Anyone know anything about this? Barca up 1-0, goal by Colina. I know you’re not on twitter, but these guys are following along (I’m not actually watching, just keeping an eye out). But I heard half the community is there..
Man U goal was one of the most (if not THE most) important but wasn’t one of his best. Some of these top 10 goals were just ordinary, run of the mill Messi goals (meaning by anyone else they would be miraculous, but from him…oh, am I spoiled). 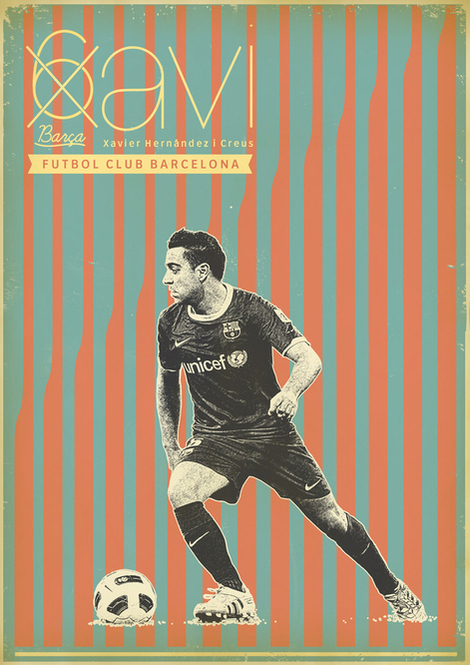 The FK against Almeria was sweet, though! I was watching R. Sociedad game yesterday. Sadly, I’m watching old games before I *sniff, tear* delete them to make room on the DVR. Ray made a comment about how FCB ruined football for his friend during the 5-0 clasico. That’s how I feel now, especially watching Gold Cup games. Nothing’s good enough anymore. 2011/2012 season can’t come soon enough. Can’t you export them or burn them to DVD or something (I don’t know how DVR works, actually)? Apparently I can’t. 🙁 You’d think I could. Maybe there’s a way I don’t know about. Some of the later games we had go right from the cable to the desktop and we have burned DVDs of them. Alas, I figured out that strategy too late for most games. Sure you can. Don’t know what kind of DVR you have but if you look at the back of it, you should see audio/video out jacks. Just run patch cords from those directly into a DVR recorder, and off you go. It’s how I preserve this amazing club for posterity. my mistake- i think the FK was against Depor? Rumours that Arsene Wenger has been spotted in the stands are totally without foundation unconfirmed. That sounds so sad, like Barca Babies v. Baby Bad Guys. Now I feel kinda sorry for the poor little-uns being lead astray. Don’t worry. 99% of them will be dropped or sold by the club before they get anywhere near the first team. The evilness wears off in time—look at Mata! exactly what I was thinking. You should feel worse for the budding foreign talent (the baby Ozil and Di[ve] Marias of the world) who will get bought up and assimilated. Training-for-other-Liga-clubs would be more like it.. Double legged encounter or a single one? Single. Winner plays Baby Corinthians in the final. Play was halted on 67:30. I’m guessing there are timeouts or the use of quarters..
for me the #1 messiest goal will be the getafe goal. anyway there is no question bout the madrid goal as #1 in this season and the gunners goal as # 2 in this season. is as good as the gunners goal as well as the execution.just watch the slo mo of the goal. 4.alves triple 1 2 against socieadad. Now I’m envisioning Wenger as a sort of King Minos, requiring other clubs to send him youths every year, sending them into the Labyrinth and they are never heard from again…. Can our hero Theseus Pep save them? FCB Babies won on penalties! Yay football! I’ll even take Barca Infantil over the silly season..
Sunday. Not sure of the time yet. We go through on penalties! Must admit, RM looked great in the 2nd half. Totally outplayed us. That Fran Pastor kid thinks he’s a young Cristiano, lol. Love the look of Grimaldo (beast), Rolon, Herrera… Quintilla and Babunski looked good in midfield in the 1st half. Ebwelle showed some flashes, too. Ondoa, the keeper looks really assured as well. Aitor is a hot-head lol, knew the red card was coming. Corinthians-Barça should be a fun final. Where will the final be played? You have to admit though, Pastor ran circles in the second half. Gutted about the final result in the fact that we lost in the penalties, but non the less, very proud of the kids. For an academy that is thought to be rubbish (completely untrue, btw), they were awesome. Especially in the second half. Good game anyways. Nice distraction. I like this statement: “They are supposed to be bad (they are not bad) they were not bad”. Yeah, Pastor killed the defense, especially Aitor Ruano. Looks promising. Goal #4 wasn’t that special – Villa scored the exact same way later that game in fact! #1 def the best, it wouldve been even better if Pepe had been in the trail of EE dust 🙂 , but really what Messi goal isn’t a masterpiece? (except for penalties, those shouldn’t even count for cool points). Don’t agree. Takes a lot of composure to pull off penalty kicks, especially at the top level against world class goalies. The penalty against Arsenal and EE come to mind — both very very important goals, and Messi finishes them brilliantly. Messi’s penalty shots are sublime – never hits them too hard or too soft and places them perfectly. It’s like he has an intuitive understanding of where the keeper will go and just puts it out of reach. Watch his penalty kicks of the season, he prefers to go low and to the right — this is because low shots are the hardest to save. But against Casillas, he went shoulder height and to the right. Casillas actually went for the low-right shot, but Messi was too clever for him. Congrats to the Barca kids – but was interested to see the name Simon Hill in the lineup. Not a very Catalan or Spanish name – anyone know anything about him? Alves, a right back, has more assists than Messi and Xavi. That actually blows my mind a bit. Just goes to show how important he is to the way we play. Word. Alves = Barça’s right side attack/defense/Dance troupe etc..
Easy to say when they are the best club, isnt it? Also he keeps telling that he doesnt need to repeat himself on his dreams, and will not harm Arsenal publically by answering to such questions publically. If you dont want to talk publically, you dont. He keeps responding and hinting at a move, since forever. It isn’t a queation of haters hating. In big matches for his club, where is he? Trophyless for 6 seasons. Is most of it Wenger’s fault? You bet. Shambolic defense? Yup. But we’ve watched them play against us for two Champions League seasons now. He is a good player, for sure. But 45-50m? Really? And his whining in the press is just silly now. Request a transfer or shut up. Yep, Just the other day, I remember people were complimenting how Cesc was being a thorough professional and not creating any negative air. But, all these statements from the captain of a team, where he played since young just does not impress me a bit. Totally unprofessional. Only this year he’s trying to be more subtle (or at least making a show of trying to be more subtle about it). Can I get a cookie? Here, you can have a delicious chocolate chip cookie, fresh from the oven (yeah, my family wishes I were that domestic). Have some milk, too! I save the cookies with red and blue sprinkle<strike)rs for Bassam. Guess sMasch will be used more as a CB.. I can not believe that a CB is not in the radar, I just can not. I have no problems with them not signing a CB, although I thought Botia was too good/cheap to pass up. Abi and sMasch are more than capable. Maybe Fontas plays in some more games (although I don’t think a Pique/Fontas pairing works so well). But that means we have to be thinking seriously about fullbacks. Silly season seems a good time to truncate the name. This is simple enough. Lets face it, soccermomof4 was a bit cumbersome. Surely Lev can have no concerns about his roommate over this one. Lets see what happens guys, judging by the reports, our priority to fill the void on covering for Puyol is to use Masch and Abidal, we can do this two ways, buy a LB and CM, or LB and CB. Its more logical to sign a CM because of diversity reasons, its much easier finding a midfielder to cover a lot of positions than a defender. Thats why I think we are looking for a midfielder first an foremost, if nothing happens then we move for a CB. As for Botia, I personally don’t think he is ready to come back yet. So we lose out on saving 1.5 mil to buy him back, BUT then again I’d rather we not blow 1-2 million dollars on a player who is not ready and will end up in a situation like Bojan, Caceres etc. We still have buy-back clause on him till next summer by then we will have a better picture if he is ready. We have to be patient guys, we can’t just blow off all our money right away. we have to plan things, we only have 45mil to spend, and we have a few player we are willing to sell off but most of these players do not want to leave or be used as bargaining chips. The last thing we want is to spend too much on one player too early, end we end up missing out on signing another 2-3 players we need. Lets stay positive guys, we are the front runners to two possible signings for roughly the same position. We have many targets who are willing to accept B-team roles just to get a shot at the first team. This silly season already looks better than the last two, we have way more options available to us, and unlike last two seasons, where our club had the pressure to win everything and having everything to lose. Its seems right now that everyone else are feeling the pressure of the gulf between Barca and the rest of Europe. There seems to be reports that Villarreal want 30 mil for Rossi. This sounds like good news to me because 30 mil is a decent amount for a player like Rossi, especially with the market being like this. Villarreal have asked for 30m since May. It’s not really good news because we still don’t want to play that. Our latest offer was pretty low. 17m plus 10m in incentives. Ladies and gentlemen, I need some help. I am in desparate need of starting a good book series. Must be fiction. Love fantasy. Don’t like mystery or political intrigue so much. Suggestions please!!! I got nothing. I don’t ever read fiction. But if you’re after some recommended non-fiction titles, the new Malcolm X book by Manning Marable is excellent, as is the David K. Jones chronicling of the battle of Stalingrad. I’m doing both simultaneously, dependent upon which bag I pick up that day (purse, or gym bag). ooooOOOOoooo! Now this is in my line (I work for a publisher, remember)? Does it have to be a series, though? I don’t do a lot of series. Then there is Scott Lynch’s The Lies of Locke Lamora and its sequel Red Seas Under Red Skies. Fabulous high adventure starring a gentleman thief. I think the third one is finally coming out this fall. If you don’t mind shopping in the kids section, the Skulduggery Pleasant series is awfully fun, and Philip Reeve’s Hungry City Chronicles are absolutely brilliant. Start with Mortal Engines. Really unfortunate that these were marketed only to teens. I also just yesterday made a list of the best standalone novels I have read in the last couple years and will share it upon request. Also nonfiction. I read a ton of nonfiction and can recommend titles on almost any subject. Scott Lynch’s The Lies of Locke Lamora and its sequel Red Seas Under Red Skies. They are truly exceptional. I am very excited that the third one is coming out after so long. The rumour was that the author got obsessed with WoW to the point where he was literally not doing anything else, so I thought the book would never be finished. Read the Song Of Ice and Fire book series by Geroge RR Martin. There are 5 books in the series so far, the first of which is A Game Of Thrones. One of the best fantasy series that I have read. are you watching the TV show Game of Thrones, its amazing, if you haven’t started you should. The first three books in the Wheel of Time series by Robert Jordan are pretty great. The next few are good, and then after that it’s pretty mediocre until they started getting good again around book 11. For a nice and long fantasy series to read over the summer it’s great though! Robin Hobb’s Farseer trilogy probably has too much intrigue for what you’re looking for, but over the course of the overall 9 book series I had a lot of fun reading it. It has some pretty depressing sections though, and it’s not for someone looking for a shiny and courageous hero. Try to look up the Ice and Fire series by George Martin, I know some of us have read it because of Game of Thrones, but it really is entertaining, well written, and I love how he changes the narration according to characters, and how he says what the character is thinking between lines, it really is an awesome reading! A Song of Ice and Fire series is really good. If you spend any time in the gym, order a size up. The Euro L makes me want an XL. It fits fine, but I’d rather the Gun Show be a private affair, for wifey only. What does it mean by “fan style name and number is a plain flex style”? It isn’t player-style, just the basic yellow name/number. Very happy they restocked the shirts. Last time I checked, they were sold out. Likely the last jersey I purchase in a while unfortunately. We’ll see. Subside must have a hell of a good contract, because they always have cool stuff like this. They had a Campions d’Europa shirt on sale after the treble season. They also had an excellent Copa shirt, from the year we played Bilbao in the final. Hey Kxevin, thanks for this link. I ordered one for myself as well! I am located in Connecticut, USA. I had a few questions. Would be glad if you can answer. Approximately how long did yours take to arrive? Did the shipping have tracking numbers? I am super excited about it! Thanks again. If Bojan and Jeffren both leave this summer (which seems very possible), the team will be down to 3 forwards + Afellay. If they sign one of Rossi or Sanchez that would make 4 forwards + Afellay. I think they will need at least one more forward in that case. An older striker like a Kanoute would fit very well as that 6th player. But I don’t know if they have any interest in a move like that. I know the club has talked about building depth – but it’s going to be a real challenge. The team was already far too small – and from that small squad 4 players are potentially going – Milito, Jeffren, Bojan, Maxwell. They are adding 2 players in Thiago and Fontas. That means they are going to need to sign 4 players to get to 22 players. But even then of the team may wind up weighted towards midfielders. They may need 23 players to have enough forwards. Seems like the key to how they structure the squad and whether or not they have enough depth is getting at least two new players inexpensively – I can see why they seem so interested in Jose Angel and Kiko. Puzzling why they didn’t buy back Botia given his price. I have a feeling the team is once again going to run out of CB next season. Good points, although I am a lot more concerned with our front line. We have the players to cover at CB if needs be, between Pique, Puyol, Abidal, Mascherano and Fontas I think we have the CB position covered. Up front is a slightly different story, especially if we sell Jeffren and Bojan, which I think we will. We got lucky last season in that Messi, Villa and Pedro were all fit for the majority of the season. We need at least two more forward, Rossi/Sanchez + 1 (maybe Willian). This is why this Cesc talk really pisses me off. The one position where we are stacked and really dont need anymore players is the where we seem to be keen on spending the most amount of money. Forget Cesc, spend 40-50m on two world class forwards and call it a day. It is only 20 players, but where could you see anymore players slotting in here? The beauty of our players is their versatility, allowing them to slot into multiple positions. This creates depth without the need for that many players in the squad. It keeps the 20 players we have sharp and happy because they get to play more games. I remember Kanoute and Forlan’s names came up a few weeks ago but it seemed to be a one-day thing. Was really happy when I saw their names. Cesc can play as a as a false no 9. He is good at scoring. Also midfield, and holding midfielder. I don’t think Barca play with a striker. I think that it is for this reason that Barca highly value Cesc. I think Thiago can fit in this role as well, but Pep and the trainers know what is best. Basically, he’s great at everything. Fabergas’ attacking game is the exact opposite from a false 9. Fabergas actually makes forward runs into the space vacated when defenders track van persie when he drops deep. So in attack Fabergas exploits space in front of him. That’s the opposite of what a false 9 does. As such, one can imagine Fabergas developing a strong partnership with Messi. This would radically change how barca plays though as they would lose a midfielder to control possession in the deeper central parts of the pitch that Xavi normally plays in (though Xavi makes very intelligent runs forward as well). Fabergas would have to make more delayed runs like Alves does. Either way, Fabergas’ game is nothing like a false 9. Its the exact opposite. He’s a flexible player. But he’s not an out right attacker. Finally while Barca doesn’t play with a typical striker as a 9 they clearly play with forwards. And they need depth there. I think people spend way too much energy trying to slot players into specific positions. Cesc is young and flexible and perfectly capable of evolving his game to fit the team. Mascherano never played CB before, remember, and David Villa had to learn how to defend. Thanks for the clarification Euler!! Your perspective is always much appreciated!! Doesn’t make sense at all. As if Madrid can directly offer Thiago. Obviously the board would reject the offer as soon as it comes in. Thanks all for your book ideas. Armed with library card, Droid set to BFB, and a boatload of enthusiasm I set off to the library with the intention of getting the first book in each of the abovementioned series. I returned home with 1 book, Red Seas under Red Skies, not even the first of the series. I’m tired of seeing the message, “system availability 0”. I’ll have to try for Xingxian and Ryan’s ideas later as they weren’t up at the time I was at the library. Oh well, a Barnes and Noble trip needs to happen. Blitzen, I will take that list of single novels please. can’t find the Mexico game on FSC ?!? According to Rossi’s agent, he offered to help us negotiate with Villarreal, but we told him we would negotiate with them directly. He said we are talking with Villarreal and knows we made an offer (doesn’t know the exact number), but it wasn’t good enough. I haven’t found the Sky Sports broadcast on torrent, but FSC uses the Sky Sports feed, in terms of commentary and actual footage. It lacks the pre-match, halftime, and post-match stuff, but the commentary is the same as Sky. Thanks Jnice. I will give it a try. Both Villarreal and Udinese overvalue their players. We should move on. We should NOT release bojan. Not until we complete signing ALL of the strikers we intend to , for next season. Maybe we should move on! Let EE spend the fortune for the best bench warmers in Europe (really, you can only field 11 at a time). Willian can be an LB, right? I thought he was a winger but he certainly seems to have the goods to be a great LB. If so, then signing him gives us a winger/forward and a reserve LB. Buy Kanoute or the likes for a plan B. Promote Thiago and work him into the rotation. Rotate 3M into the mix more often. MUCH less money! What about that kid from Real Sociedad (can’t remember his name, I think he’s French)? Griezmann, who wants playing time and sensibly, want to stay at the Royal Society for a couple of years.. It looks like we’re focusing on Sanchez, Rossi and Jose Angel. If we bring in all three of them and sell Bojan and Jeffren, I think we are ready for the next season. Euler? Thoughts? Those are three very talented players. Obviously Sanchez and Rossi are on different levels than Angle given their experience and accomplishments, but Angel is promising. Hard to know how each will fit in the system, but I think they are targeting the right types of players. All three would be great. Honestly, if Bojan and Jeffren leave and Barca really does have 70M or so to spend with sales of players, then I would try to get all three of those players. They could use two forwards more than they could 1 forward + Cesc. But I doubt that’s the direction they will go in. It’ll likely be sanchez or rossi. I’d like them to add a CB but at minimum they need another defender. If it’s not CB then it should be LB. So Angel makes sense. But he’s going to need to be able to contribute next season to the first team even if he is technically on the B team. On the whole I’m glad to see the players Barca seems to be targeting. They make a great deal of sense. Hopefully the money works out. I don’t want to see the team come in without enough depth last season. It is now very clear that the entire front line was suffering from significant fatigue and that’s likely why the goals dried up. With Villa and Pedro it was dramatic – but even messi fell off with his scoring for a period in the second half. They were all very tired. To compete in all of those competitions next year Barca needs 5 outstanding forwards + Afellay as a swing player. To me that’s the minimum they need up front. So if Bojan and Jeffren leave or either is viewed as not wholly reliable then one of Sanchez or Rossi will not be enough. Whether that second striker is a Willian or someone else – they have to add a true 5th forward. This transfers are dragging on alright…. If Milito, Jeff , Max and Bojan are to go, not only are they to be replaced by 4, but the club must add 2 on top of that. This is my fear. Cesc saga drags on and on,and we get no-one. Better off bidding for Modric. As Kevin says, Villareal and Udinese are over-valuing- trying to drag Barca into a bidding war. However the club cannot afford like last year to either waste time on Cesc or claim Man City is distorting the market. Correct on Willian. He’s a winger who can play LB also, a more offensive Adriano. Really, he’s more a winger who tracks back like crazy. Overvaluation? We wait. Let them have a case of Filipe Luis. THey’ll come to their senses..